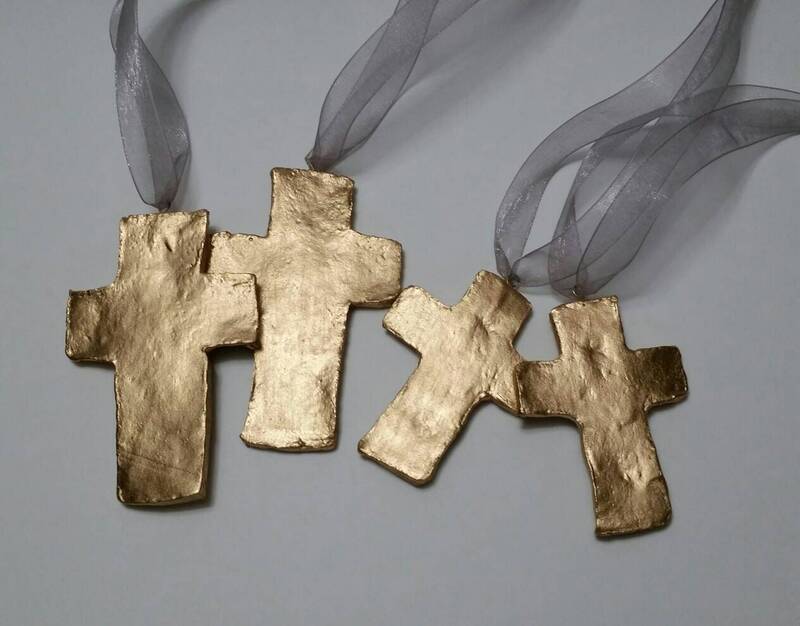 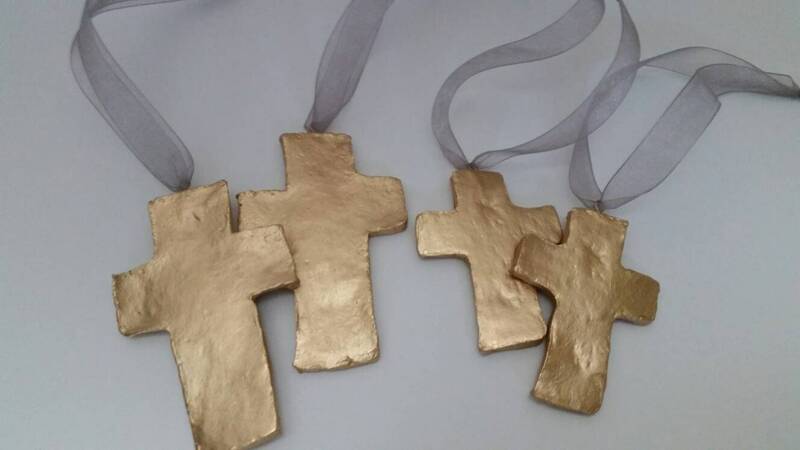 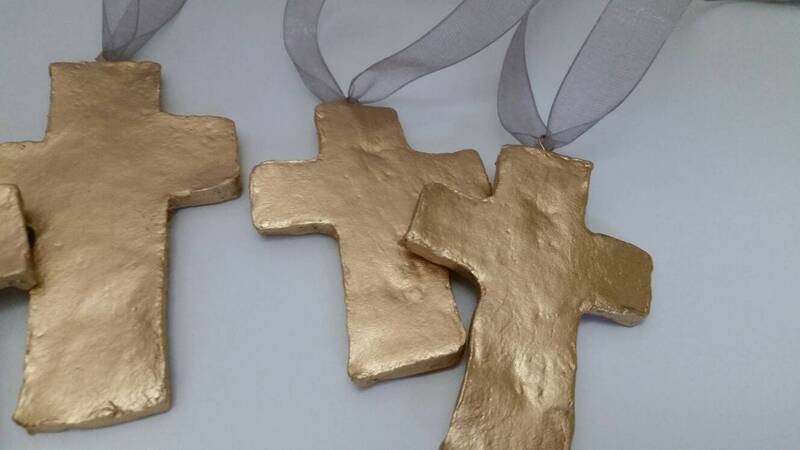 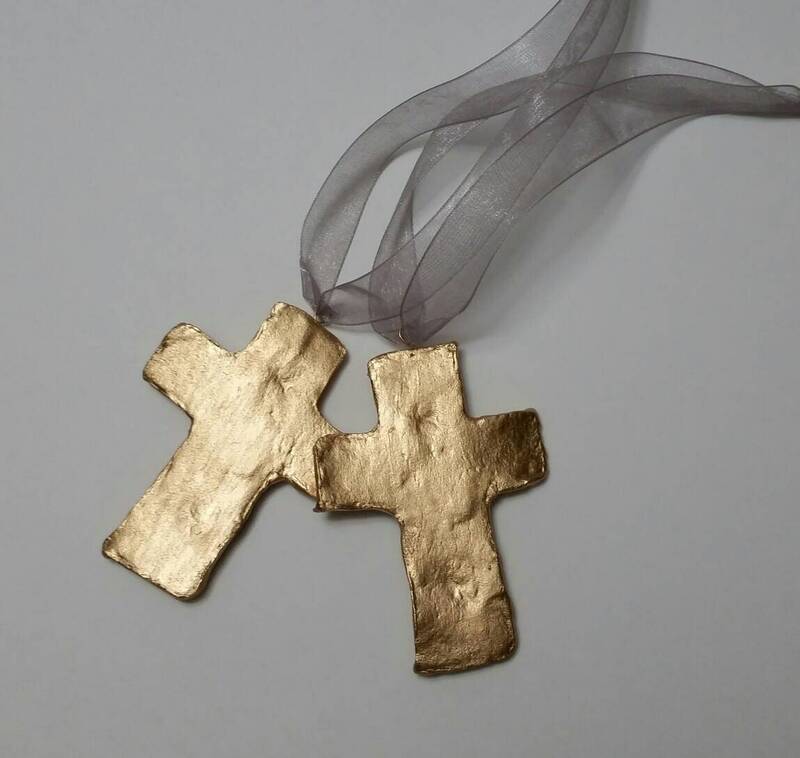 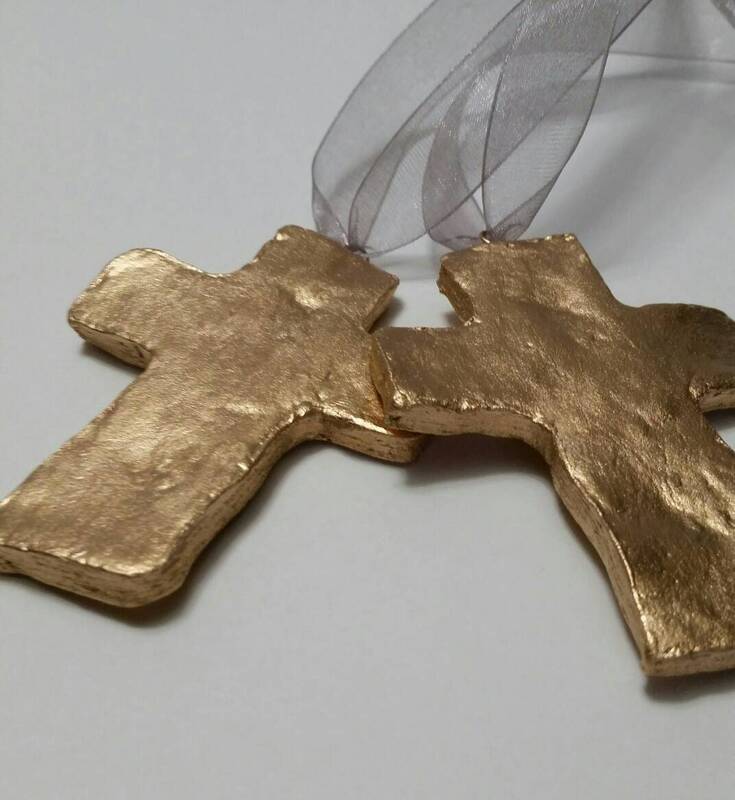 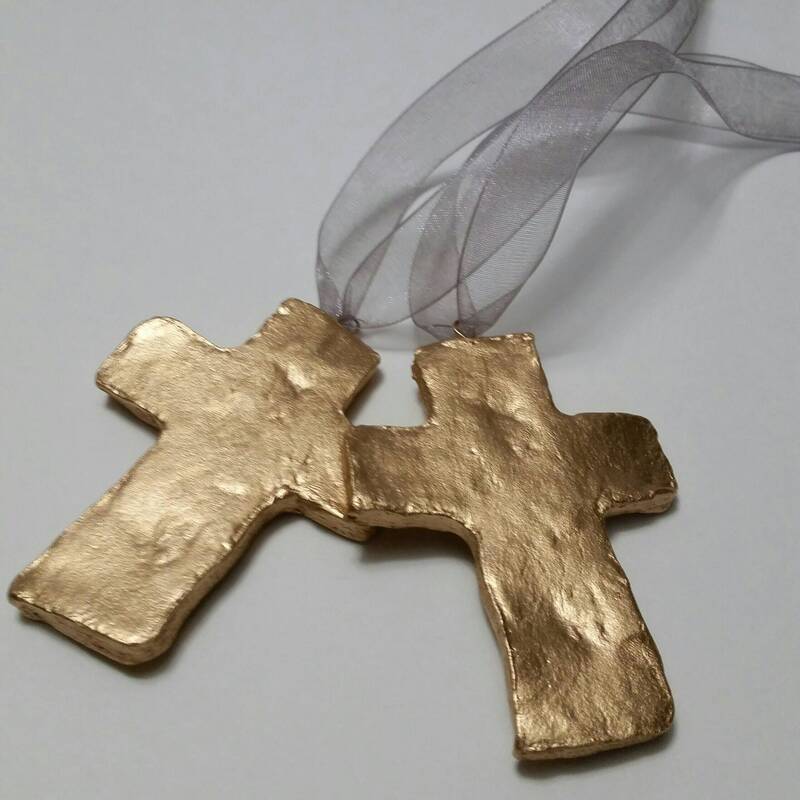 Handmade Small Clay Cross - With a Beautiful Gold Finish - I reminder of how blessed you are. 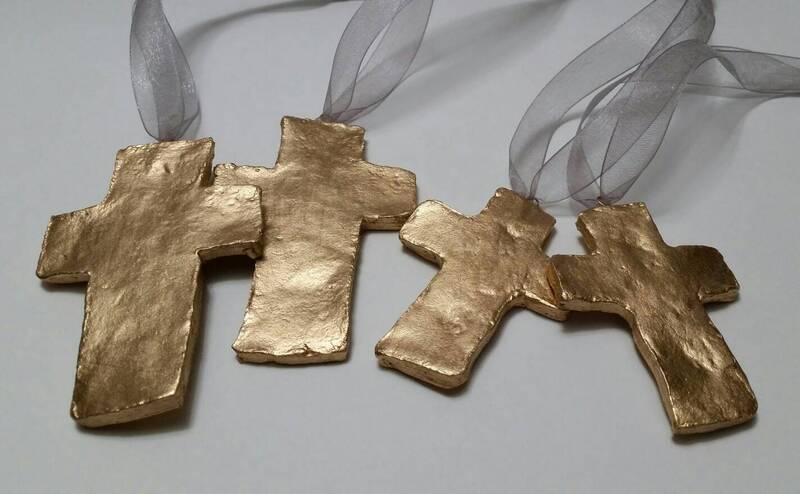 Each comes ready to hang on your tree or use as gift tags hang from a key or knob on a cabinet. 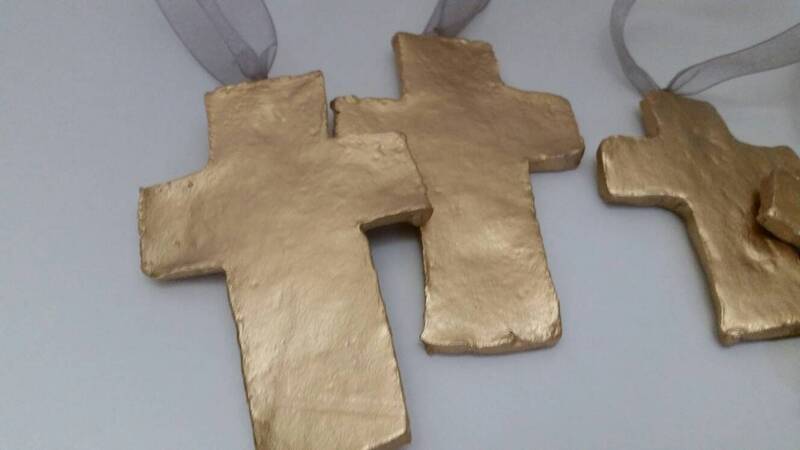 Some of the photos have our larger cross in them so you can see them side by side.